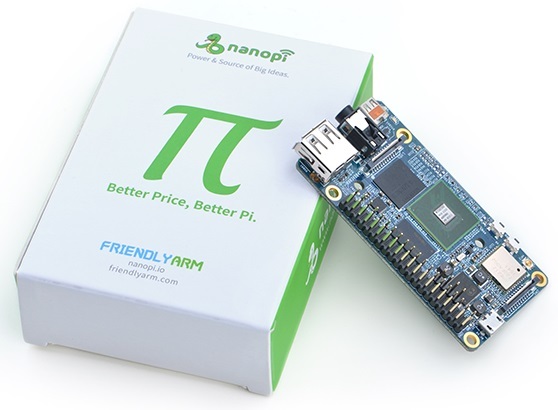 Back in 2016, FriendlyARM launched the NanoPi NEO Air, an ARM-based board that featured Allwinner H3 processor, 2.5GHz WiFi, Bluetooth 4.0 LE, a camera DVP interface, and a ton of GPIO pins. The board was relatively powerful for it’s Nano size and it now costs around $28. Fast Forward to 2019, we have a new board called the TinyWiFi 5G based around the same NanoPi NEO board but not developed by FriendlyARM. The TinyWiFi 5G is an apparent clone of the NanoPi NEO Air but comes with some upgrades. Cloning was one of the primary reasons that drastically improve the Arduino ecosystem and also help in crashing down prices of boards allowing makers and hobbyist to join the wagon. 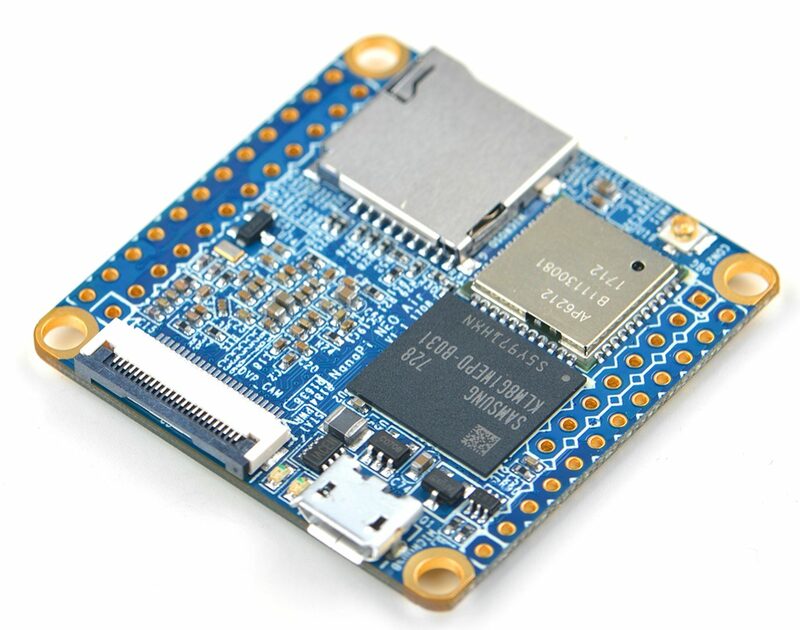 The TinyWiFi 5G is almost like NanoPi NEO Air board, with the same look but just one major significant difference – Connectivity. 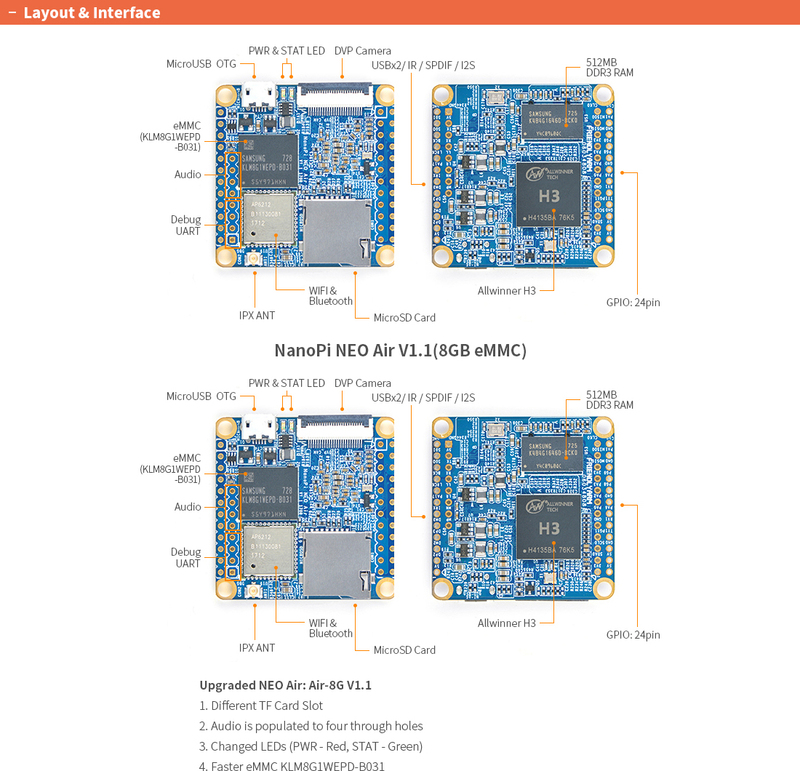 The NanoPi NEO Air board was capable of 2.4GHz WiFi 802.11n plus Bluetooth 4.0 LE thanks to its Ampak Ap6212 module, but the TinyWiFi replaces this module with the better dual-band Realtek RTL8821CS module that supports 802.11 b/g/n/ac (WiFi 5) and Bluetooth 4.2 LE. The team behind the TinyWiFi 5G is a group of developers called TinyDebian and have also created a tool for building a bootable SD card image for ARM boards which is found in Github here. 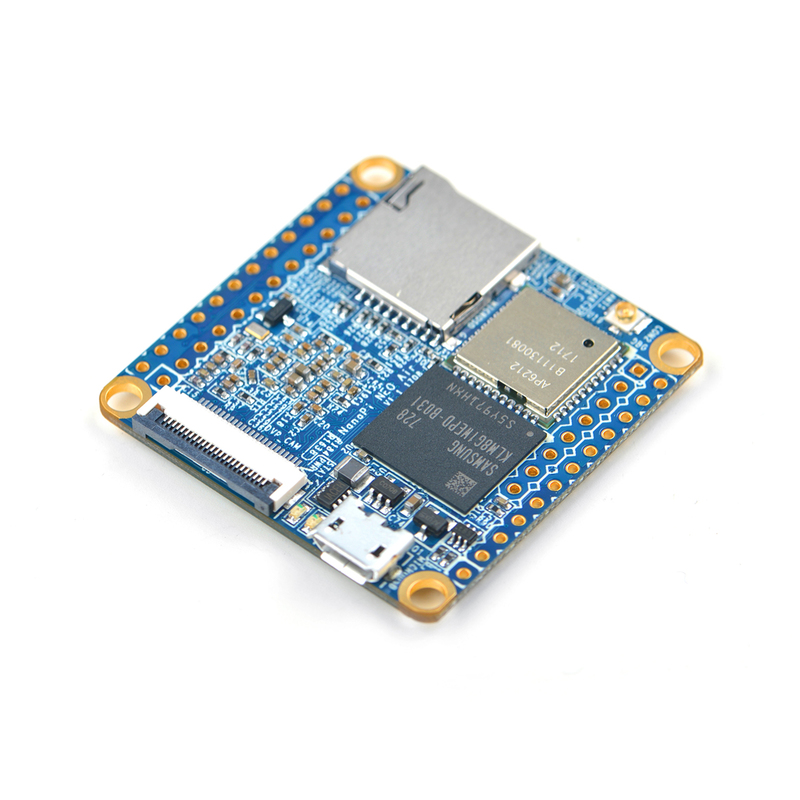 Although little information is available for this board, it is expected that it will share virtually all specifications of the NanoPi NEO Air board. The NanoPi NEO Air usually comes with two different storage configuration (8GB or 32GB flash), but since nothing is specified for the tinyWiFi board, it is expected to carry the default 8GB storage option. Low-cost boards with 5GHz WiFi are hard to find. 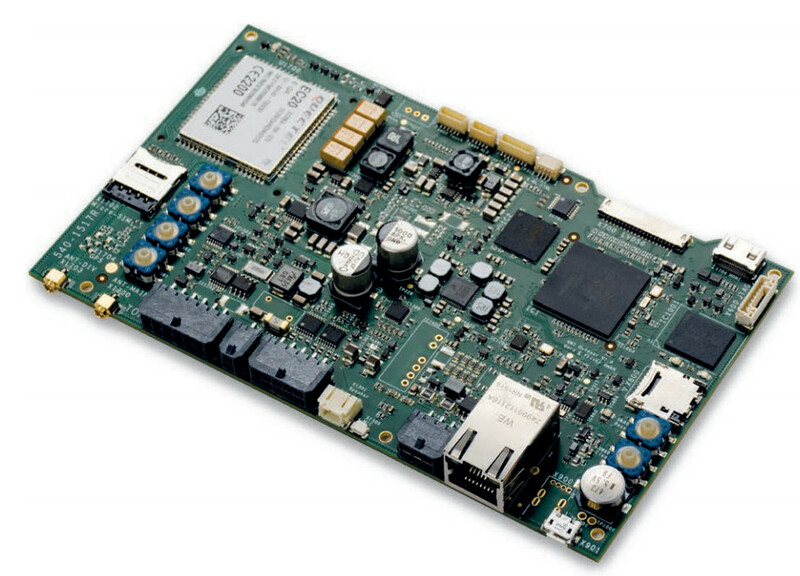 This board is suitable for quick prototyping with 5GHz WiFi. 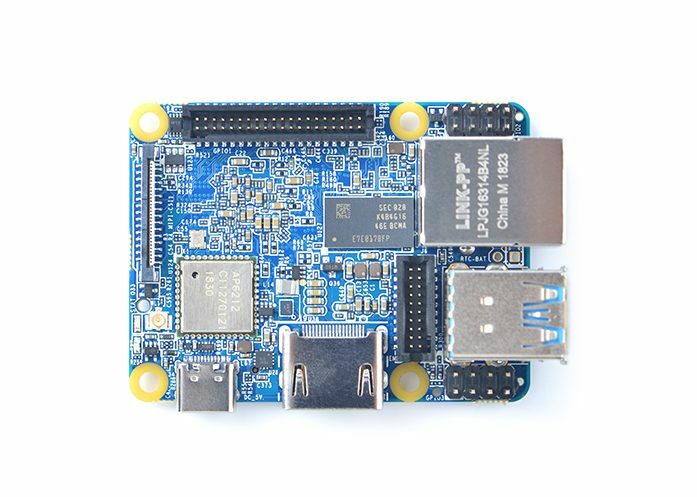 Neither documentation or images for this exact board is available instead of tinyDebian’s FriendlyArm wiki reference of the NanoPI NEO board as the documentation source that the board will work out of the box are same of the resources for the NanoPi Neo Air. It no denies that the TinyWiFi 5G which cost $59 on Tindie is way more expensive than the original NanoPi Neo Air board. Getting 5GHz will usually take you on the high end, but the high cost of the TinyWiFi 5G might be a drawback for the board. More information about the TinyWiFi 5G is available on the product page.